﻿ FGL Guesthouse, Palawan | FROM $14 - SAVE ON AGODA! Have a question for FGL Guesthouse? 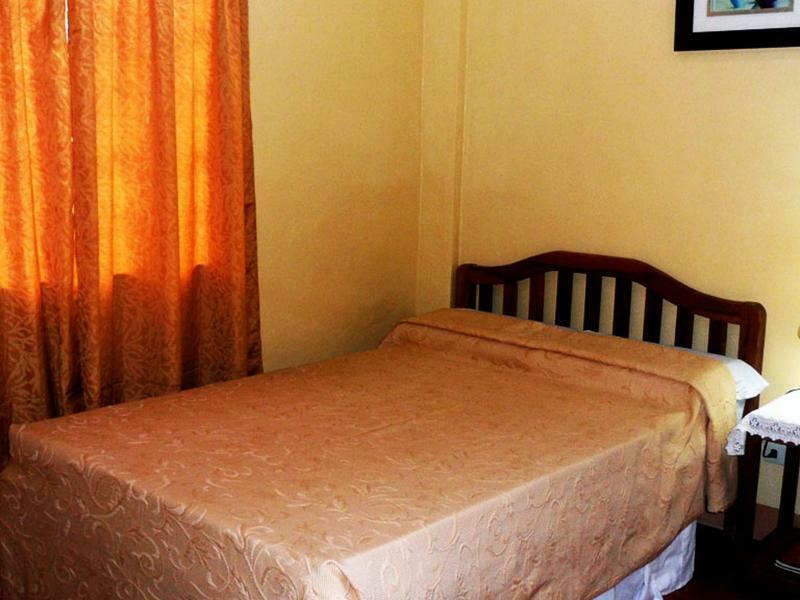 Designed for both business and leisure travel, FGL Guesthouse is located in one of the city's most popular locales. From here, guests can enjoy easy access to all that the lively city has to offer. Visitors to the hotel can take pleasure in touring the city's top attractions such as Puerto Princesa City Colesium, Puerto Princesa Airport, and NCCC Mall. The excellent service and superior facilities here make for an unforgettable stay. A selection of top-class facilities such as a family room, airport transfers, laundry service/dry cleaning, room service, and Wi-Fi in public areas can be enjoyed at the hotel. All guest accommodations feature thoughtful amenities to ensure an unparalleled sense of comfort. Throughout the day, you can enjoy the relaxing atmosphere of the garden. Whatever your reason for visiting Palawan, the FGL Guesthouse is the perfect venue for an exhilarating and exciting break away. At the time of the booking, Google Maps didn't have the location as searchable, but the street on the listing makes it easy to find. Staff was excellent in helping me find items of interest. Hard to beat the value of this stay in the area. This was a very small guest house with just a few rooms. the house was divided into 2 sections with one section with 2 bedrooms and the other side with 2 more. Our side had a kitchen and TV and we could close it up during the day and lock it. Had a fridge as well. The staff was very helpful and helped arrange activities and suggested things to do and see. On the last day we had to leave at 5 am to catch a plane back to Manila. They prepared a breakfast of hard boiled eggs and put out bread so we could toast it. Was nice to have it done so early in the morning. It was a 1 min. walk to the main street where you could catch a jeepney and there were places to eat and buy drinks near the hotel. All in all was a great place. 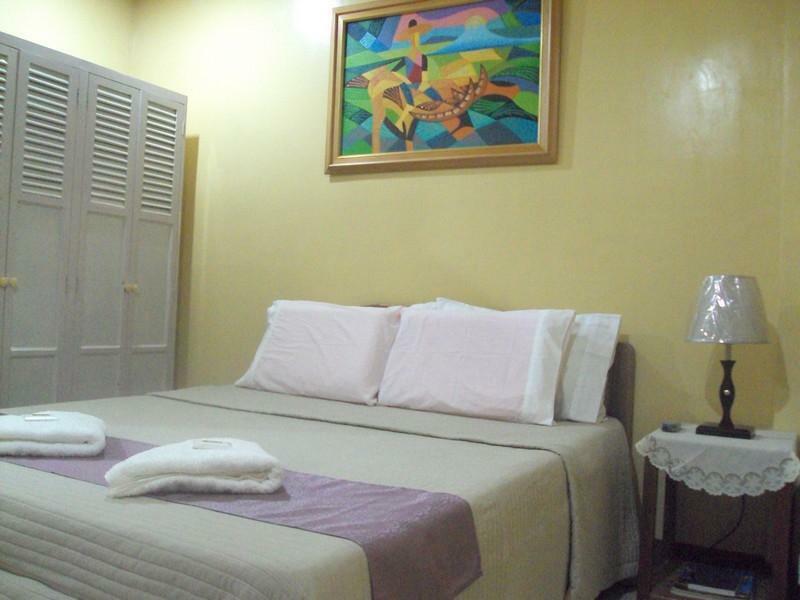 We had a short stay because we were going to visit different places in Palawan, but the place was clean and very well kept, we got the apartment accommodation with two bedrooms. we were able to cook on site taking advantage of the equipped kitchen. Located in the center of Puerto Princesa we were able to go out and do shopping and dine out to recommended restaurants. This is a good place for a very good price. The only thing that we did not enjoy was internet connection. Would be nice if management could include internet connection in the future... Many hotels in Palawan include internet as a standard service. Breakfast was good.... at the Philippines style... Rice... eggs and fish.... I enjoyed it. Our stay was alround ok. The lady owner was lovely. Our shower didn't empty as fast as it filled so the owner gave us a key for the other room opposite ours, to use that shower. Breakfast was a no choice affair and I guess typical Palawan. 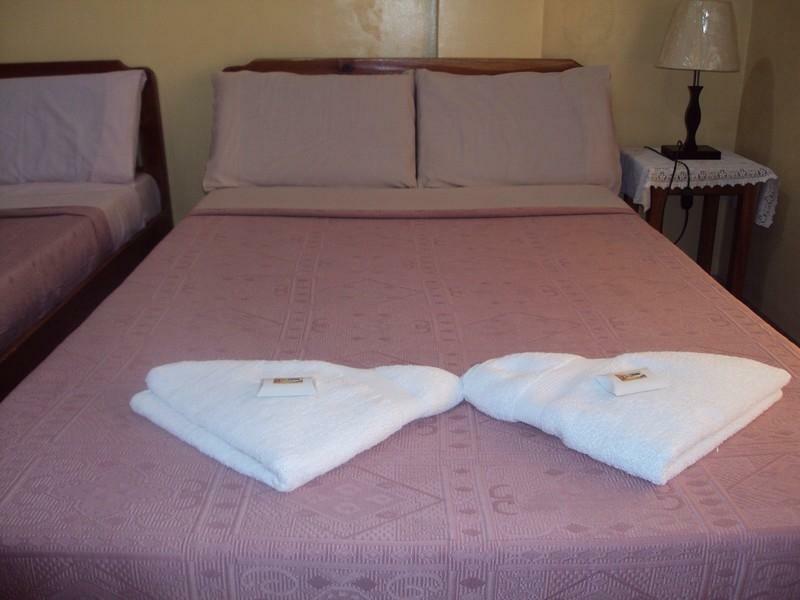 We only stated two nights but no change of towels or room being cleaned and made up.